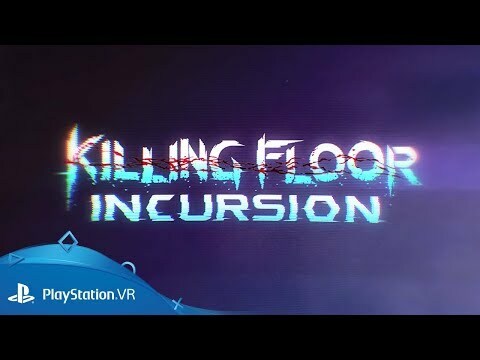 Hack, blast and fight for your life against the relentless zombie hordes in visceral PS VR shooter. Immerse yourself in a relentless, blood-soaked scramble for survival as the relentless Zed menace rampages through a diverse virtual world. Take up arms against your undead foes and start fighting back with shotguns, pistols, axes and even the severed limbs of fallen attackers. Fight through five story-driven chapters set in deserted cities, creepy farmhouses and mysterious catacombs – and uncover who is really behind the rise of the Zeds. Story-driven campaign: Fight to uncover the secrets of the shadowy Horzine Corporation and how the Zeds came to be unleashed on the world. ‘Holdout’ endless game mode: See how long you can last against the never-ending hordes of Zeds. Your enemies get tougher – but your weapons and power-ups get stronger too. Co-op play: When the going gets tough, drag a friend into the terrifying action in both the campaign and Holdout modes.